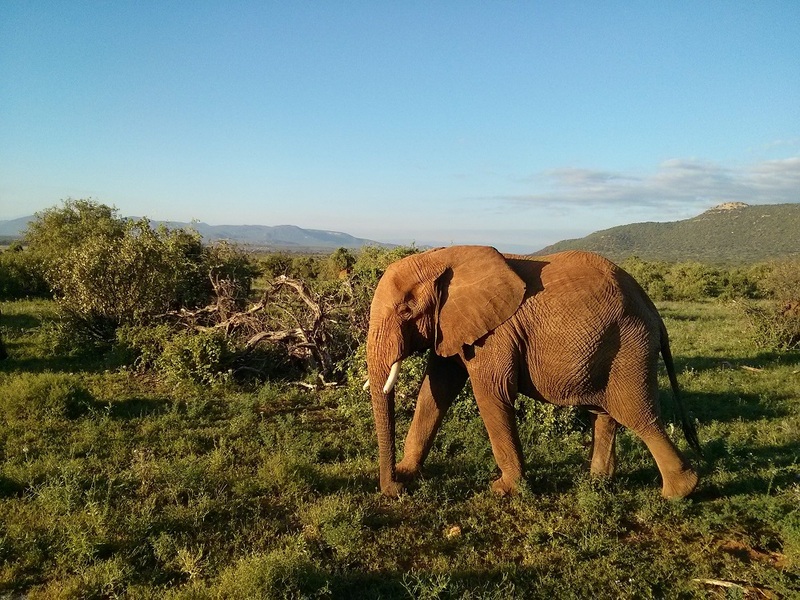 I had the opportunity to travel on this most amazing Kenyan Safari for seven nights at the end of November! The flight was via Amsterdam to Nairobi, which is a great connection city for long lay overs. There is a great shopping mall right at the airport or you can take the train to downtown Amsterdam for a few hours and do hop on/hop off tour of the city. Train ride is only 30 mins. Lockers are available to store your carryon luggage in the airport for seven Euros. The safari started in Nairobi with one night at the Sarova Hotel – Beautiful spacious rooms/sundeck pool, restaurants and bar located downtown. 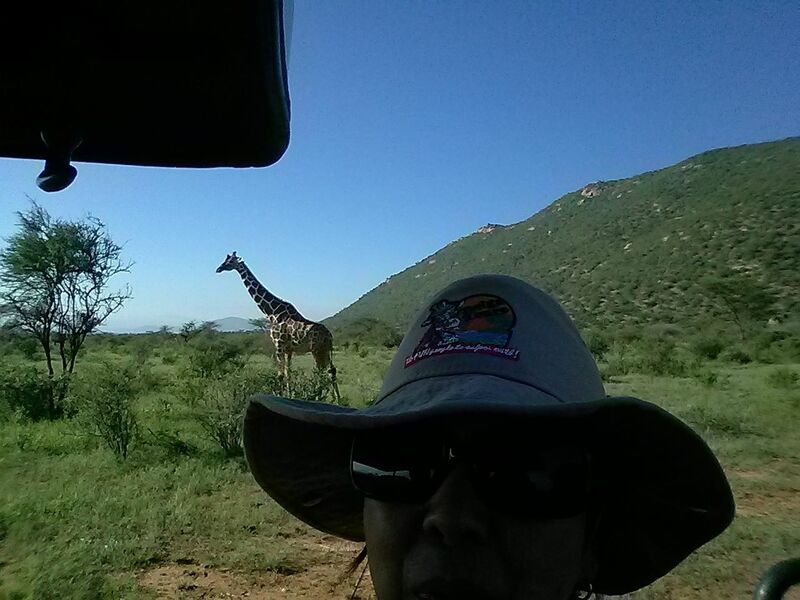 From there we headed for a two night Elephant Bedroom Camp on the Samburu Game Reserve. 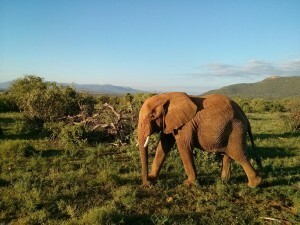 Great scenery; amazing herds of elephants! The surrounding Samburu National Reserve is an area of spectacular scenery; its dry plains divided by the meandering river, with the backdrop of Africa’s dramatic mountains, including Mt. Kenya. 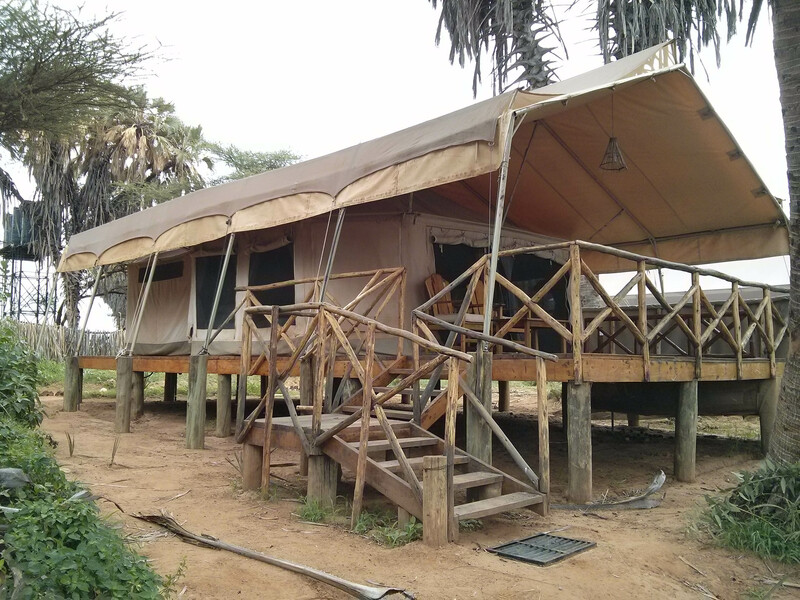 Elephant Bedroom Camp offers luxury along the banks of the Ewaso Nyiro River and shaded by doum palms and other trees that make up this green belt of riverine forest. The 12 spacious tents have rustic and colourful African touches, offering all the comforts, including a private plunge pool on the deck, hot and cold running water and electricity. Elephants visited our camp at night and daytime. Most of them ate the leaves off the tree by our tent, and at night they rubbed their bodies on the rope by our tent (a little scary to hear it)! We then spent two nights at Mbweha Safari Camp, tucked away in the spectacular Great Rift Valley on the private 6400 acre Congreve Conservancy. The Mbweha Safari Camp is nestled up against the southern border of Lake Nakuru National Park with beautiful views over the Eburru and Mau ranges. The camp is made up of 10 Rustic lava-stone cottages with thatched roofs, and are surrounded by euphobia candelabra, yellow barked acacia and other indigenous trees. It’s located only a few hours from Nairobi, yet feels right away from it all with its relaxed atmosphere. Being situated outside a National Park allows for many activities, including walking, mountain biking and night game drives. Guests can also enjoy day trips into Nakuru National Park with the option of a gourmet bush lunch with spectacular views. 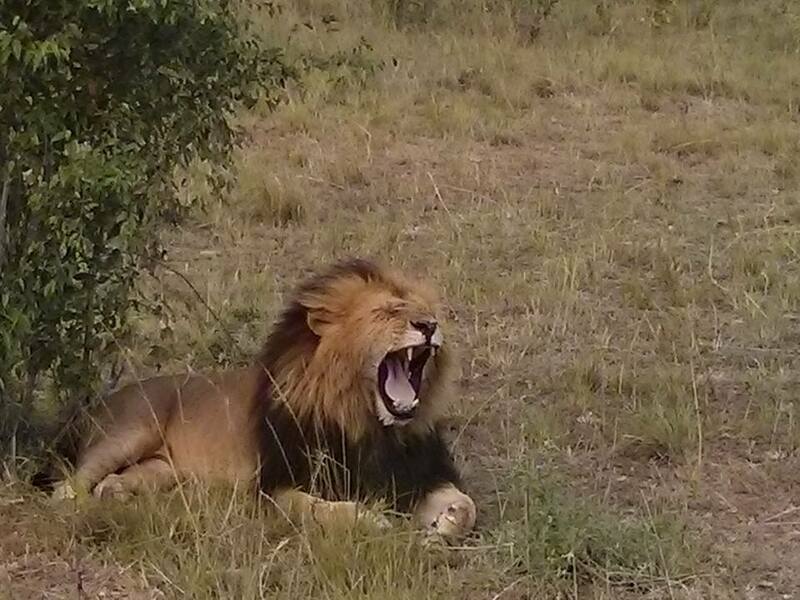 The guided night game drive was an amazing experience and the bushwalk in the afternoon was spectacular. 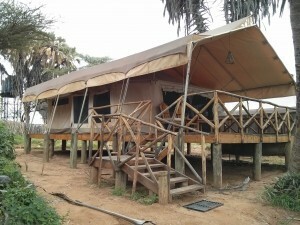 Next our tour stopped for two nights at Mara Ngenche Safari Camp located on the Maasai Mara game reserve. This ULTIMATE LUXURY comes with your own Masai Warrior guarding the tent at night and walking you to your tents and back. This was my favorite property. In a spectacular location in the heart of the Masai Mara, lies this intimate, luxurious and elegant camp. Well hidden in the beautiful greenery of riverine forest, Ngenche Safari Camp offers Panoramic views over the meeting of the Mara and Talek Rivers. It also overlooks a hippo pool that is always busy with these beautiful large animals, while crocodiles always in close proximity. The 10 spacious well-appointed tents are en-suite and decorated with an amazing fusion of modern African décor. Each tent is partially enclosed in its own “Boma”, has a large four poster king size bed or two queen size beds, offers wonderful view on the river and is equipped with a large bath tab and outside shower. Mara Ngenche is unfenced and is designed to allow the movement of animals through the grounds while offering an elegant relaxed atmosphere to experience the full adventure of the African bush. In addition, each tent has its own private plunge pool. The incredible surroundings of the Maasai Mara make this a spectacular safari experience. 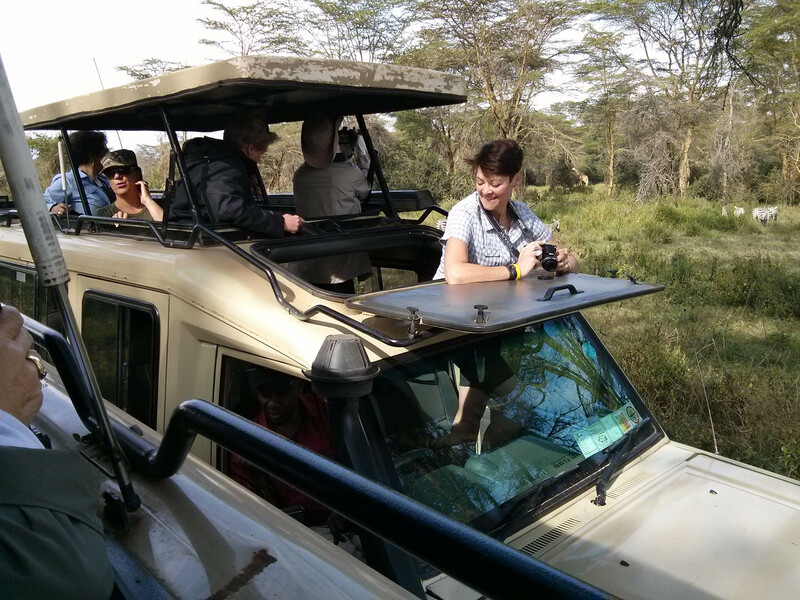 Game drives are always thrilling and are guided by qualified expert, local Maasai guides in open-sided 4WDs (with a maximum of six guest per vehicle). 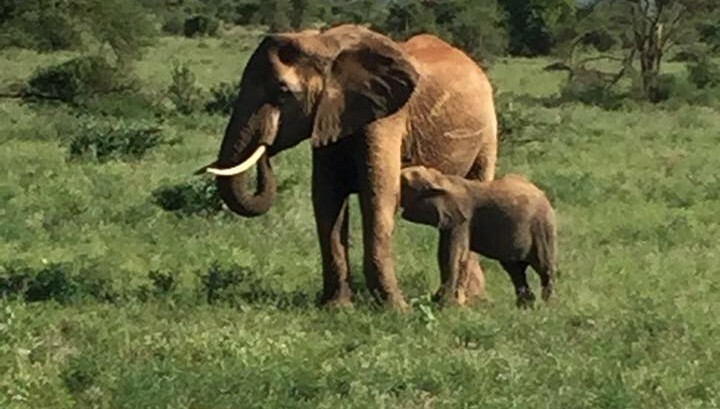 This trip to me was a dream come true, from the private guide to luxury tenting, I will cherish the memory forever; the animals in their natural habitat, and the gracious hospitality of the Kenyan made this a trip of a lifetime!